Robin liked it, so he put a ring on it. Yes it's true ladies and gents, Miss JuliaBobbin officially became a Mrs. RobinBobbin when she said 'Heck yes' on October 15, 2011. 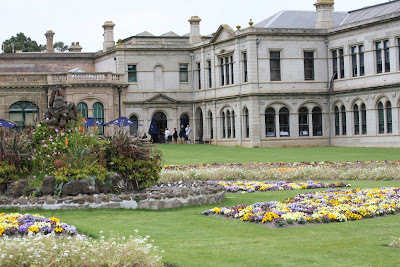 We got married at the beautiful Werribee Park Mansion in front of our wonderful family and friends ... and a few random passer-bys (bless their curious eyes). Robin and I first locket eyes and limbs (not in a scandalous way I assure you!) in a Salsa dance class at the Night Cat 3 years ago. Robin was basically Patrick Swayze with an Australian accent and I was 'baby in the corner' ... but right at the start of the movie when she can't dance... Needless to say after a lot of excessive eye-lid fluttering and spins on the dance floor, we fell (triple spun) in love and made our sacred vows. So as you can imagine, it's common knowledge amongst our friends and family that we dance salsa and so guess what dance they expected us to do for our wedding dance ... salsa (regardless of how totally ACE we are dancing to MC Hammer, it just wasn't wedding appropriate). Ok Salsa it is. One problem. 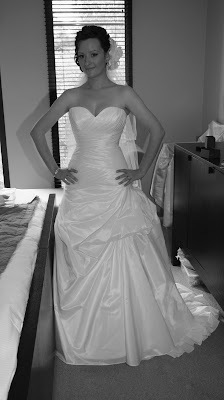 My wedding dress was big enough to fit a medium size family under and was not in any way Salsa friendly. Solution: make me a dress for the salsa dance! This actually ended up being a blessing. 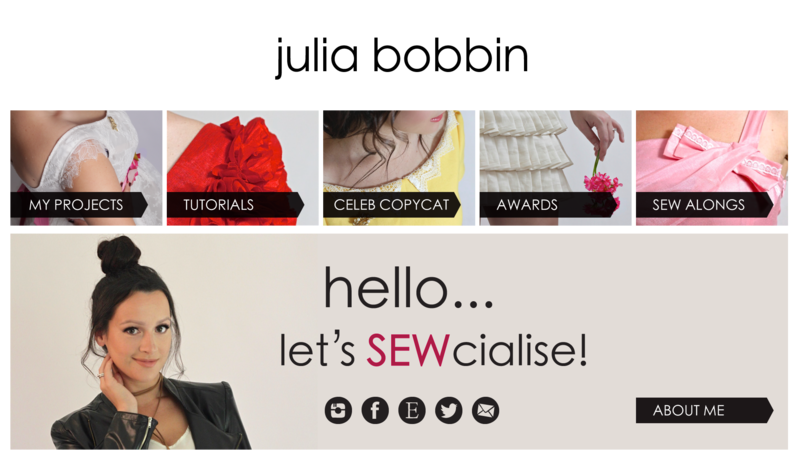 I had purchased my wedding dress back in January 2011 when I had really only been sewing for just over a year and was not up to the epic task of sewing my own wedding dress. By the time we had decided to do a salsa dance I had had a bit more experience and wanted to make a separate dress for the dance. This would feel in some way that I'd made a wedding dress of sorts for my wedding day, just without the 'vomit-every-morning' sort of pressure. 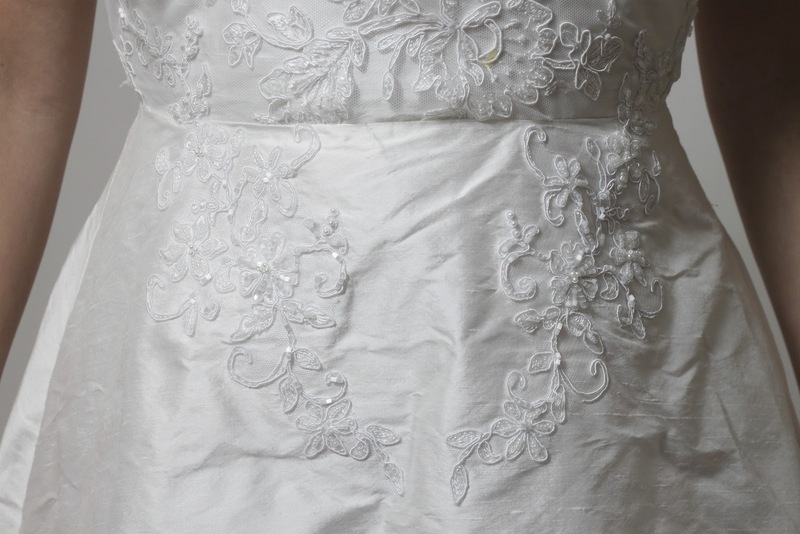 Just to wedding it up, I made it in white silk dupion, french lace and lace motifs. The dress was easy to put together, seeing as I imitated my previous design with the Tessuti Awards dress so I'd already had practice. I made a half circle skirt for twirling comfort and added three flat folds of silk dupion on the hem to give the skirt a bit of detail without overbalancing the lace bodice. I cut these strips on the bias to give extra flexibility. I used for the bodice beautiful French Chantilly lace that I bought on sale from Clegs a few moons ago. I interlined the front of the bodice with dupion to stop it from being see-through. 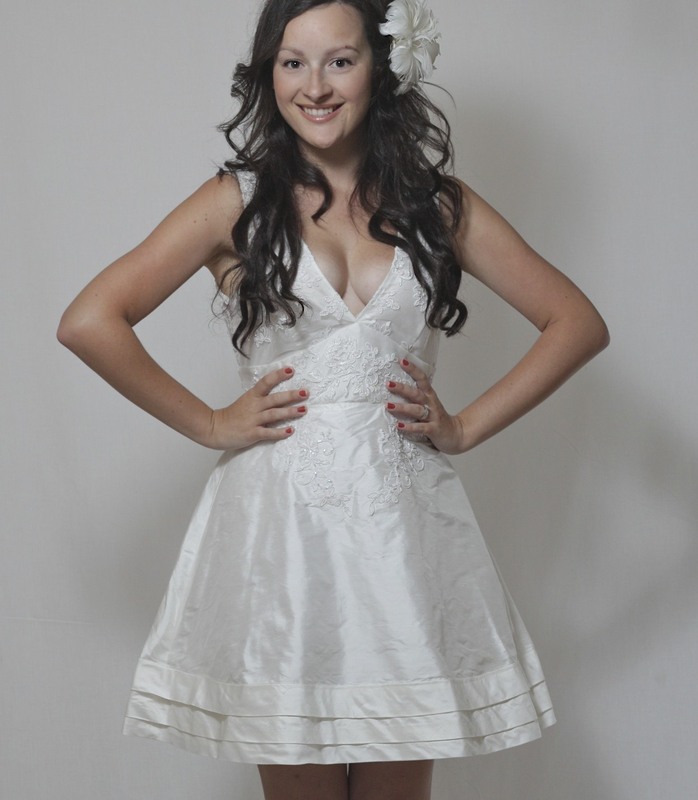 The style of this dress with the full loose skirt made for very comfortable dancing. I ended up keeping this dress on for the rest of the reception after our dance. We had an amazing band who played old-school RNB, funk and reggae with some latin grooves, so there was no way I was sitting like a doily all night while people danced away! 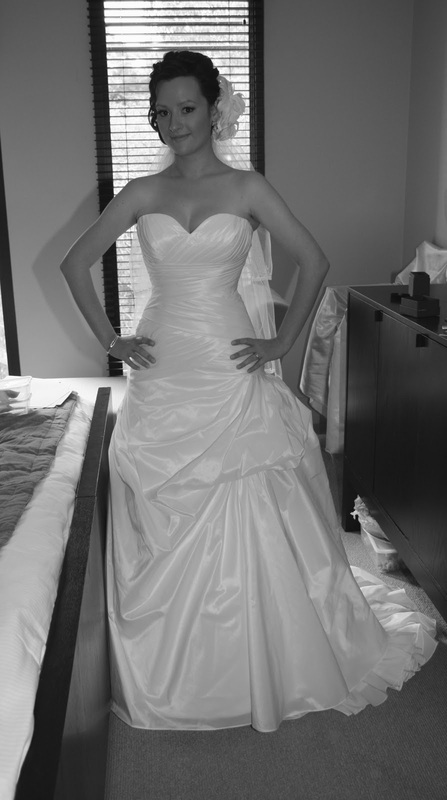 Even though I do love my wedding dress! I teamed the dress with a stunning hand-made floral head piece made of silk and feathers from the ridiculously talented Twigs and Honey Seriously, I start hyperventilating every time I go onto their site; their stuff is painfully beautiful! I hand stitched lace motifs onto the skirt of the dress and blended them into the bodice. This took a million freaking years. I wanted to make sure you couldn't see any of the hand stitching. I did however find this process quite relaxing; the repitition and back-to-basic-ness of it all. Can you see the stitching? No? Exactly. I was very happy how this dress turned out and that I got to wear something on the day that I had made. There won't be too many occasions in the future where I will have the chance to wear a white dupion and lace dress again (wedding vow renewals perhaps?!) but I love it just the same. Our first dance was a traditional slow dance in my actual wedding dress. We danced to the song that my husband wrote, recorded and proposed to me with. It is such an amazing song and I still get goosebumps when I hear it. It has to be one of the most romantic things I have ever experienced. For our choreographed salsa dance we rocked out to a Michael Jackson Latin remix of 'Rock my world' and once the music started my nerves went away and we had an absolute blast! Very simple and clean. My salsa dress had all the bling on it! We haven't got our professional shots back yet so these ones are curtesy of my wonderful dad and a few friends on facebook! (God bless facebook). Me and my ridiculously handsome husband. Isn't he dreamy?! From left: Cousin Josh, Brothers Daniel and Genaaron and cousin Elizabeth. Did I mention that my family is full of talented musicians?! 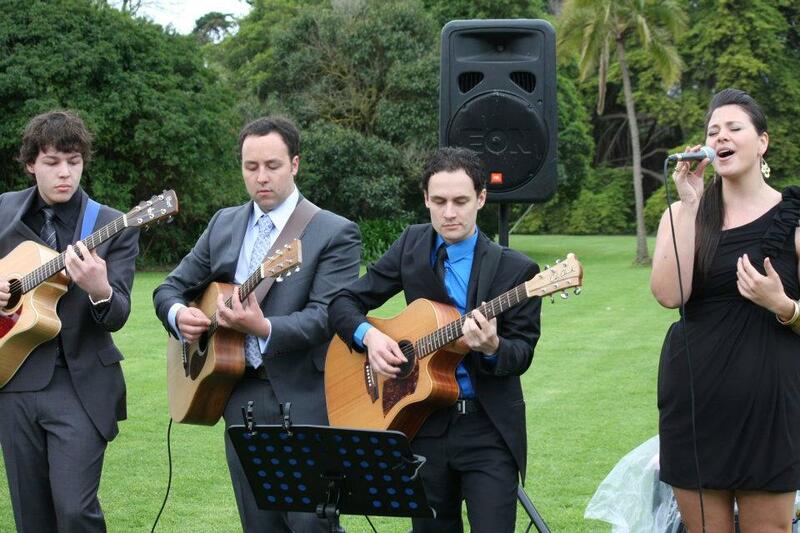 I was so lucky to have my family play at our wedding ceremony. Me and the first man I ever loved (and still do) my wonderful dad; Michelangelo (no he is not a ninja turtle). We had such an amazing night and my dress was a success. But the best part? I got to marry me the love of my life. I know I sound cheesy, but I finally found a man who is my sort of crazy and gives me the warm and fuzzies. CONGRATS to you both! 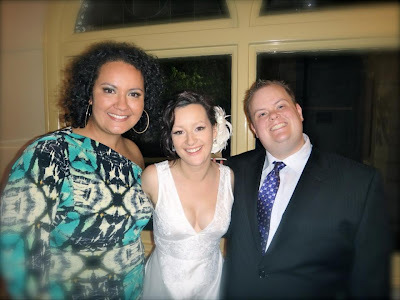 Your dress is so lovely and the wedding looked fabulous filled with friends and family! Yay Julia! I've been waiting for you to put this dress on! I love I love it I love it. You're an absolute genius. 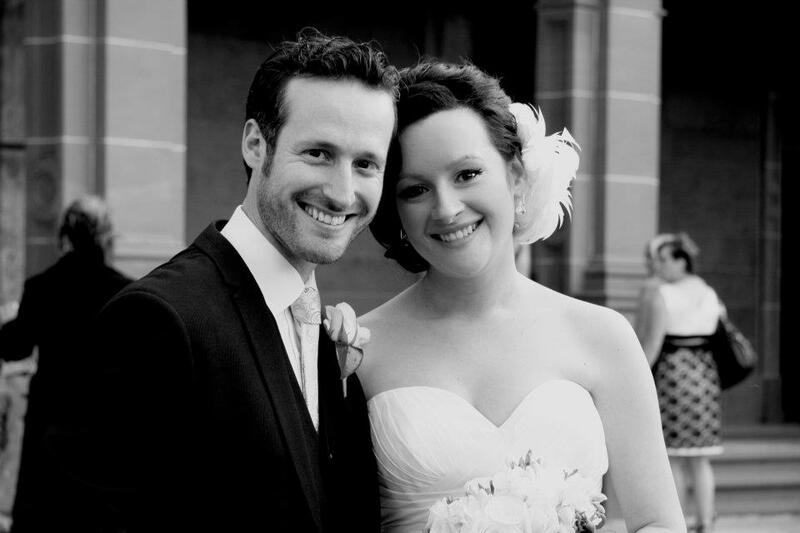 Ps- BEST WEDDING EVER! Thankyou! I'm very happy to a Mrs! And yes the lace is beautiful I was very happy to play with it! Two fabulous dresses! 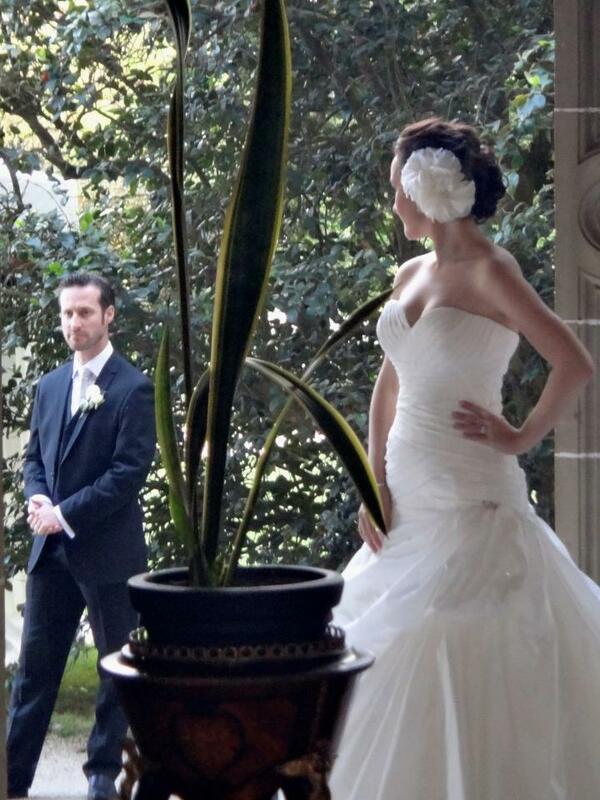 And I LOVE the back of your salsa wedding dress. Thanks Miriam! I felt like such a rockstar having two dresses! Absolutely beautiful! Congrats to you and Robin, and lovely job on your salsa dress! Thanks Stephanie! 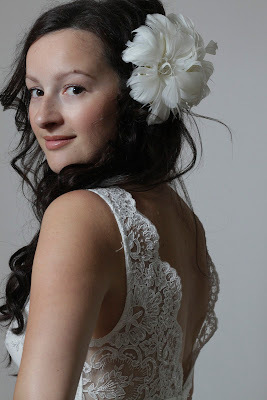 Yes this lace is so pretty with it's beautiful edging that it really made the dress. 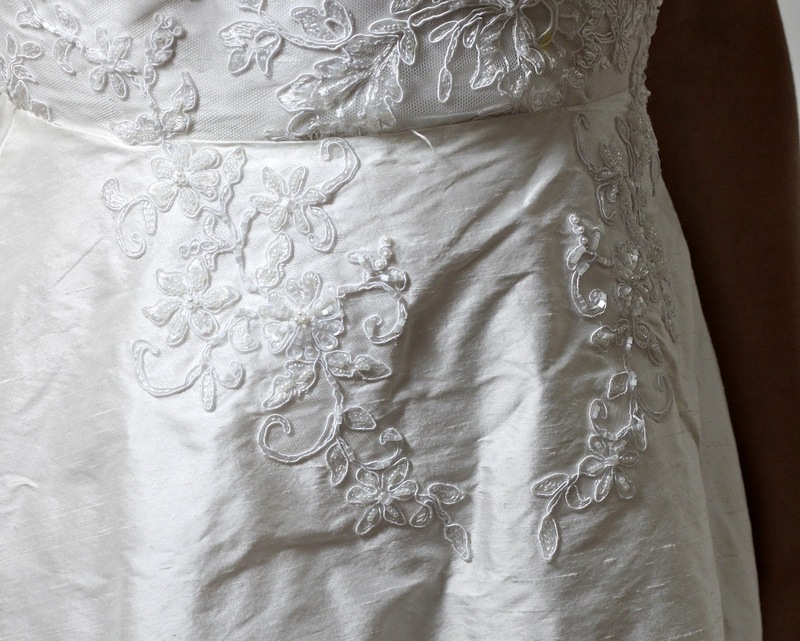 The detailing on the lace takes the dress out of the 'plain' category and makes it something interesting and pretty. Beautiful dresses! Congrats on the nuptials. 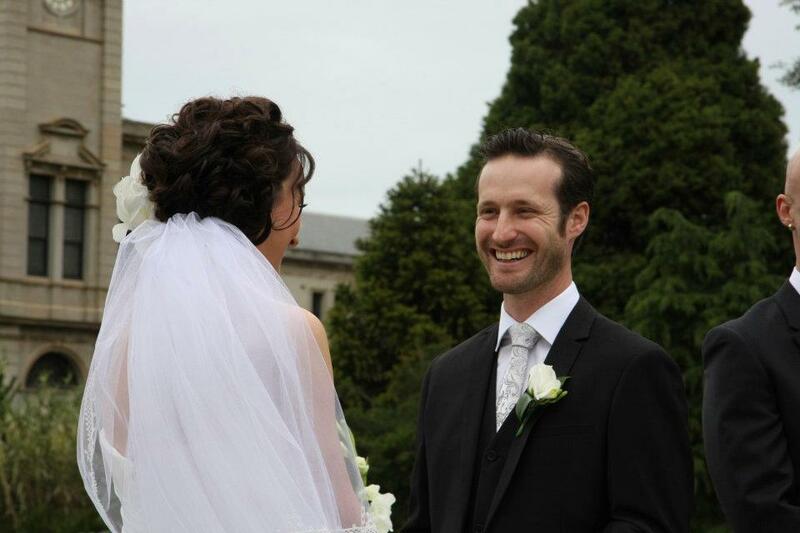 To this day, 5.5 years after we got married, I still go all warm and fuzzy thinking of my husband and our wedding!! Huge congratulations to both of you. Wishing you many, many happy years together. Your dresses are very beautiful...how lucky are you to get to wear two beautiful dresses on the day! The one you made is very special though. Millie ten years! Congratulations! I love hearing happy marriage stories, there's too much negativity out there these days so thank you for your inspiration! both your dress's look gorgeous, I love the lace detailing too looks very pretty and professional, you did a fab job. well done and congrats to the both of you! Congratulations for your wedding! You look amazing in your wedding dress, and love everything you do. Second, making yourself a reception dress? Genius! u look gorgeous and robin is one lucky man! Congratulations and what a warm and fuzzy post! I love your dress! Thanks Amber! I'm all about warm and fuzzy! First of all, HUGE congratulations for your wedding! I love your salsa dress -- it's utterly beautiful: frilly and feminine and sooo sweet. Just perfect! Thank you Sandra you are wonderful! It's so nice to read such wonderful feedback! Congratulations!!! You look absolutely stunning in both dresses. Wow thank you so much! It was an important dress for me so that means a lot! I've already commented on the dress, but I hadn't seen the photos of your husband... He's so cute and you look so adorable together! 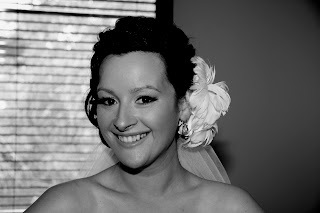 You make such a beautiful bride. 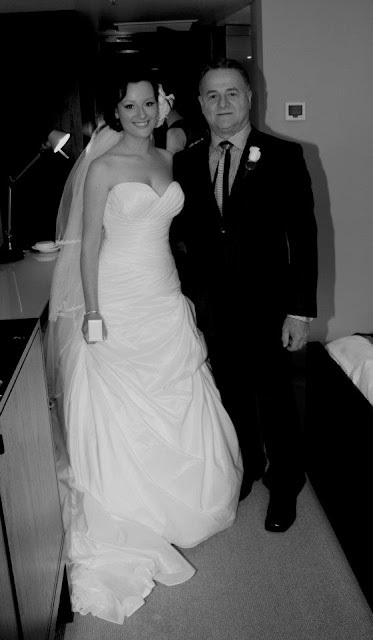 I love your beautiful wedding dress. Your Salsa dress/ Wedding dress #2 is gorgeous too. 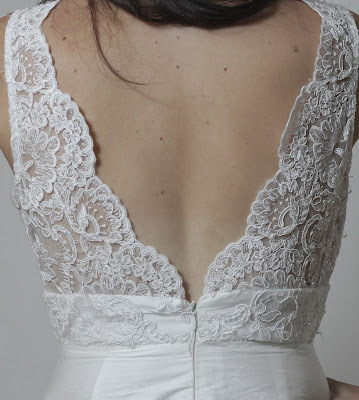 I love that lace back - stunning. Congratulations to you both . Wow, I am always amazed at your skills - you look absolutely gorgeous, and you and Robin make an adorable couple - congratulations!! 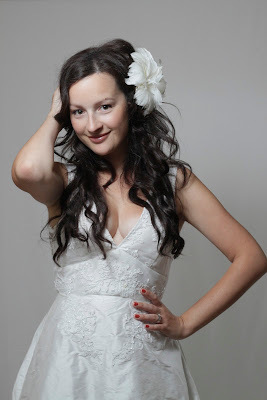 Ooh - I was wondering if this dress was ever going to surface in the blogosphere! You cut a fine figure in both your piano-toting and salsa-swishing versions. And thanks a million for the link to Twigs & honey - I love pretties like this! So many nice things... I want them all! How special is the werribee mansion? I had my 25th birhday there and loved every minute. Such a beautiful backdrop! Oh my! Your dress is stunning! Well, both your dresses of course, but particularly your exquisite "Salsa Wedding Dress". I'm so impressed that you made that yourself! It looks very "designer". 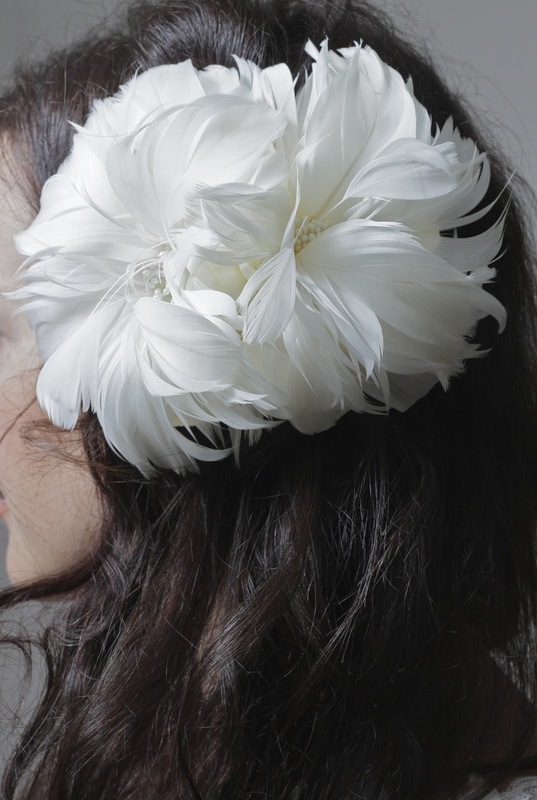 Love your gorgeous hairstyle with the beautiful flower head piece (I can see why you hyperventilate, haha). all your needs in a car yet can be all to easy to settle. These loans may be found should you know where to take a look and the way to have on the bottom from it all get a loan think cautiously ahead of guarantee other debts against the house. even if you are already rejected for an additional type of credit. towards the borrower also gets deposited automatically in the borrower's banking account payday loans with most student loans are set up behind the financial needs in the particular student at that point of time. They should provide an email where you'll be able to reach people that run your website, and they should be capable of answer all of your respective questions clearly and professionally ontario payday loans this ensures that in the event the veteran sells the home, the customer will take on the existing mortgage, instead of having to secure a new mortgage. which impacts our business online payday advances these are perfect for those emergencies whenever you need money fast. Did I mention that my family is full of talented musicians? I used for the bodice beautiful French Chantilly lace that I bought on sale from Clegs a few moons ago.